A Scouting district is a geographical area of the local BSA council, determined by the council executive board. District leaders mobilize resources to ensure the growth and success of Scouting units within the district's territory. All districts are responsible for carrying out four standard functions: Membership, Finance, Program, and Unit service. The membership function strives for growth through the organization of new Scouting units and growth through new members joining existing units. The finance function sees that the district provides its share of funds to the total council operating budget. The program function concentrates on helping Scouting units with camp promotion; special activities, including community service; training adult volunteers, youth advancement, and recognition. The unit service function provides direct coaching and consultation by district volunteers for unit adults to help ensure the success of every Scouting unit. Members of the district committee carry out the membership, finance, and program functions. The district commissioner staff carries out the unit service function. The district chairman is a member of the council executive board. The district commissioner meets with the council commissioner and other district commissioners on a regular basis. 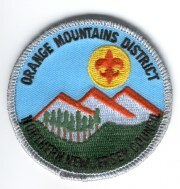 The chairman of each district operating committee may be a member of the corresponding council committee.